Carear Path CompTIA certifications are a recognisable IT industry qualification that can help you get a rewarding career as an IT Technician, Support Technician, Helpdesk Engineer etc. With further training in specialists areas you could look towards a career in Server Support, Network Engineer or Systems Analyst to name just a few jobs. 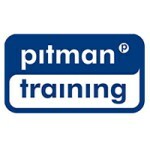 For information about Pitman Training Centre (Wexford), please visit our Training Provider page on Corporatetraining.ie by clicking here.